Have you ever seen an operator walk over to a 275 gallon tote of defoamer with a 5 gallon bucket and fill it up? I have and it always scared me. The old adage, “more is better” does not apply here. During the shift, that bucket is used multiple times. Imagine what happens when you shock the system with that much defoamer. 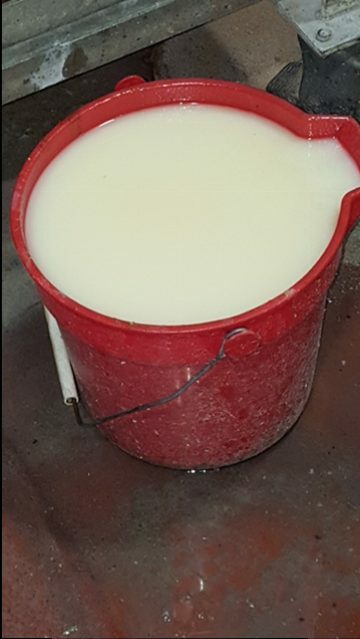 Over the years, I have seen that a small amount of defoamer will do the same as pouring a huge bucket. There is no need to get a full bucket of defoamer when a few ounces may do the same thing. Those episodes in the plant scared me and I realized that their program was not being managed. While watching this happen during a potential customer visit, I started to think how we could change their program. Was the operator and shift supervisor trained on the proper use of defoamers? Why wasn’t that tote locked up? Is their pump system not working properly or getting the right amount of defoamer into the system? Is their defoamer supplier helping them establish a baseline? It is hard to break bad habits and ensure that each operator controls foam in the same manner. Foam is a royal pain in the @##! Each person on the line has their own subjective idea of what is bad and what is good foam. I have always felt that if you see a little foam then the defoamer is doing its job. 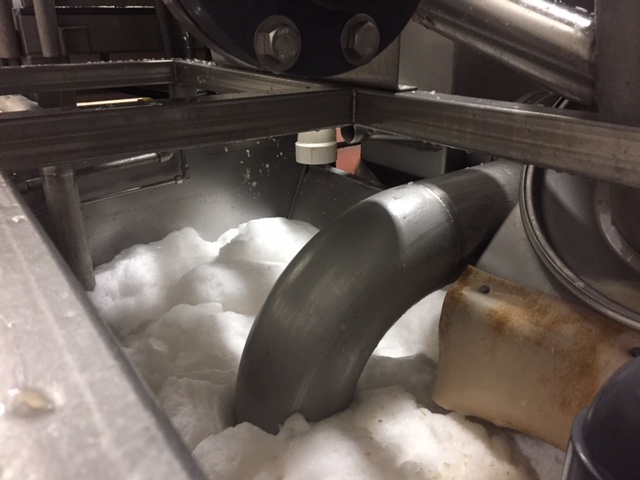 From experience over the years, I have found that 1st shift operators typically run their system with minimal foam and that the 3rd shift operators on average always use too much defoamer as they want zero problems. Most operators are unsure where the balance lies and when they see foam building, they just grab another bucket. ChemFree DeFoam can alleviate the defoamer bucket brigade and take all foam control away from your operators. ChemFree uses a patent pending water diffusion technology (WDT™) that will reduce or eliminate defoamer usage. The good old bucket brigade will become a thing of the past. Plus, no more overuse of defoamer that could affect the production process or your waste stream. The biggest advantage is the cost savings with a ChemFree system versus a defoamer system. Plus, how much does that bucket brigade cost you? Give us a call, we can fix all of that for you. You will be pleasantly surprised at the how this patent pending system can make a major impact at your plant. After all, the bucket brigade is used to put out fires, not foam!